As it looks like rainy season has come to an end and summer is officially here it has suddenly become hot. Temperatures soared overnight and for this Minnesotan, the heat is unbearable. Increased salt intake is recommended for heat exhaustion or for acclimating to the heat. A baker in Ehime prefecture came up with this concept which is now spreading throughout the country. He adds a bit of butter to the insider of the dough and then sprinkles the outer part with salt. It becomes a mini meal for those who have to eat on the run. 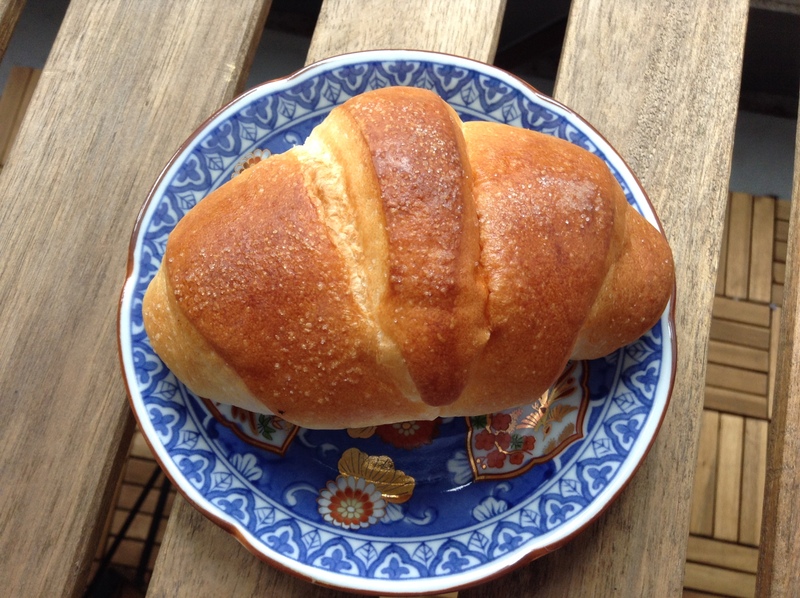 Shio means salt and pan is for bread, simply salty bread. 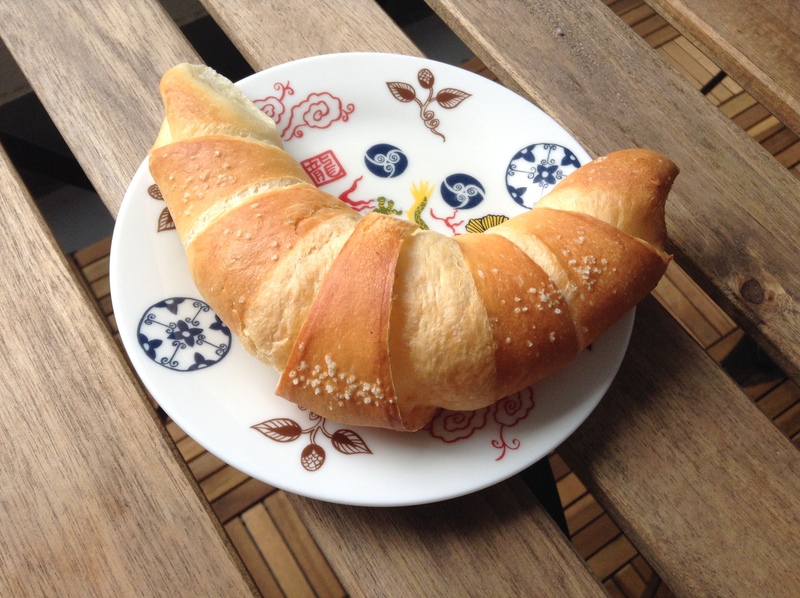 The shio pan from Vie de France is my favorite so far. The inside opens up like a balloon so the outside is slightly crunchy and the inside is slightly chewy. The butter brings it all together. This is only 100 JPY. It can be eaten just as it is as a snack. I think it would also be nice sliced in half and stuffed with ice cream or sorbet. Pompadour’s version is much more dense. I much prefer the airy version from Vie de France. Pompadour’s is better suited for making into a sandwich, perhaps stuffed with tuna or ham and cheese. Vie de France and Pompadour are popular chains with branches throughout the city. Ask at your local bakery as many shops are now jumping on the bandwagon. Please let me know if you come across a good one. I’d travel across the city to try one.